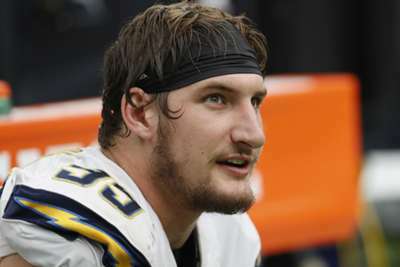 Los Angeles Chargers defensive end Joey Bosa is on the mend, according to his father. John Bosa told SiriusXM NFL Radio that his son is "a few weeks away" from returning to the field after he suffered a foot injury. Joey Bosa has been dealing with a foot injury since the offseason. It has been described as a bone bruise, and the team wanted to keep Bosa off of it to avoid surgery. The Chargers have managed to play well without Bosa on the field as they have a 4-2 record ahead of a Week 7 meeting with the Tennessee Titans.